"Wonderful office! Wonderful people! Dr. Crane is the best!" "Dr Crane and his team are exactly what I was looking for." "I am grateful that Dr Crane is so thorough. " "I'm a long-time patient of Dr. Crane's. Always a pleasant experience." "Over my lifetime, I've seen a number of dermatologists, but I like Dr. Crane the best." "Dr. Crane always greets you warmly. His staff is excellent." "Dr. Crane and his staff are excellent. I trust him and his staff with my life!" Atlantic Dermatology, PA, offers comprehensive medical skin care services to patients in Wilmington, North Carolina, and the surrounding communities. Board-certified dermatologists Dr. Jonathan Crane and Dr. Christopher Cook provide an extensive menu of services, from necessary examinations to cosmetic procedures to Mohs surgeries for skin cancer, as well as EltaMDⓇ, ObagiⓇ, and Clinicians ComplexⓇ Skincare products. Whether you need treatment for a skin condition, such as eczema or psoriasis, a screening for cancer, or a youth-enhancing injectable, such as Botox® or RestylaneⓇ, trust the staff at Atlantic Dermatology to provide you with the best in care from head to toe. 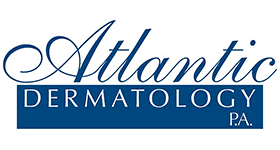 With more than 50 years of combined experience, the team at Atlantic Dermatology seeks to provide you with quality patient care in a professional, friendly, and educational environment. Both doctors affiliate themselves with Sampson Regional Medical Center in Clinton, North Carolina, and New Hanover Regional Medical Center in Wilmington. Call today to make an appointment or book a consultation using the online agent. "My family has been going to Dr. Crane for many years. I have always had a positive experience during our visits. The front staff has always been very nice[...]"
"Dr. Crane has been my doctor since 2000 and he also took care of my Dad. I have always found his staff to be professional. I enjoy Dr. Crane's personality. " "Dr. Crane is always pleasant, professional, and knows his stuff. The office staff have always been professional and pleasant at every visit." "Dr. Crane has a wealth of experience and he continues to relate with his patients with a very friendly and approachable demeanor."